Rev. 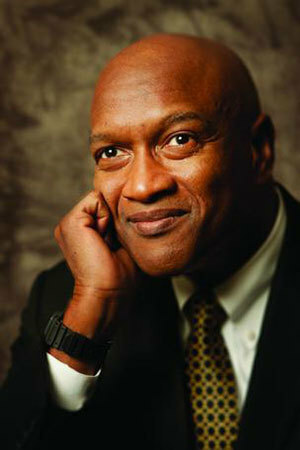 Dr. Ray Hammond, founder of Bethel African Methodist Episcopal Church in Boston, will deliver the principal address at the University of Notre Dame’s 169th University Commencement Ceremony on May 18 (Sunday), replacing the previously announced speaker, Christopher Patten, chancellor of Oxford and chair of the BBC Trust. Patten informed the University this week that he is withdrawing from several engagements for health reasons. Hammond, who previously was announced as a recipient of an honorary degree at this year’s commencement, entered Harvard College as a sophomore at the age of 15 and earned his bachelor’s degree at age 19 and his medical degree from Harvard Medical School at age 23. He established a career in medicine before accepting a call to ministry in 1976. He and his wife, Gloria, also a doctor, co-founded Bethel A.M.E. in 1988 in their dining room and quickly became leaders in youth and community outreach. Hammond’s many leadership positions include former chair of the Boston Foundation and founder and chairman of the Ten Point Coalition, an ecumenical group of Christian clergy and lay leaders behind Boston’s successful efforts to quell gang violence in the 1990s. He has written papers and articles on a range of topics from academic achievement and diversity to violence prevention and health care. Hammond was born and raised in Philadelphia, the eldest son of a Baptist preacher and a schoolteacher. He was educated in the public schools and went on to graduate from Harvard College and Harvard Medical School. He completed his surgical residency at the New England Deaconess Hospital in Boston, and joined the emergency medicine staff at the Cape Cod Hospital in Hyannis, Massachusetts. He completed his master of arts degree in the study of religion (Christian and medical ethics) at Harvard Graduate School of Arts and Sciences in 1982. In 1988, he was called to be the founder and pastor of Bethel A.M.E. In addition to his leadership at the Boston Foundation and Ten Point Coalition, Hammond has served as executive director of Bethel’s Generation Excel program, executive committee member of the Black Ministerial Alliance, chair of the Boston Opportunity Agenda, a member of the strategy team for the Greater Boston Interfaith Organization, and a trustee of the Yawkey Foundation, the Isabella Stewart Gardner Museum, the John F. Kennedy Library Foundation and the Math and Technology Charter High (MATCH) School. He continues to work in local and district youth activities in the A.M.E. Church. Hammond is a Fellow of the American Academy of Arts and Sciences and is also the recipient of numerous honors including honorary doctorates from Boston University, Cambridge College, University of Massachusetts–Boston, Lesley College, Northeastern University, Boston College, Emmanuel College and A.M.E. University in Monrovia, Liberia. Originally published by Dennis Brown at news.nd.edu on May 01, 2014.